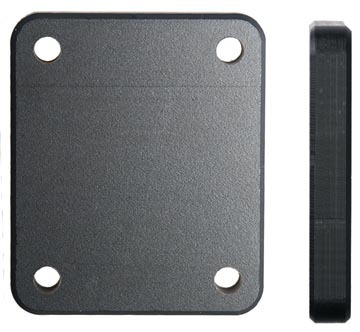 Distance plate, 42x50x7 mm. With predrilled AMPS holes. Used for positioning the installed equipment further away from the dashboard. Dimensions: 42x50x7 mm.